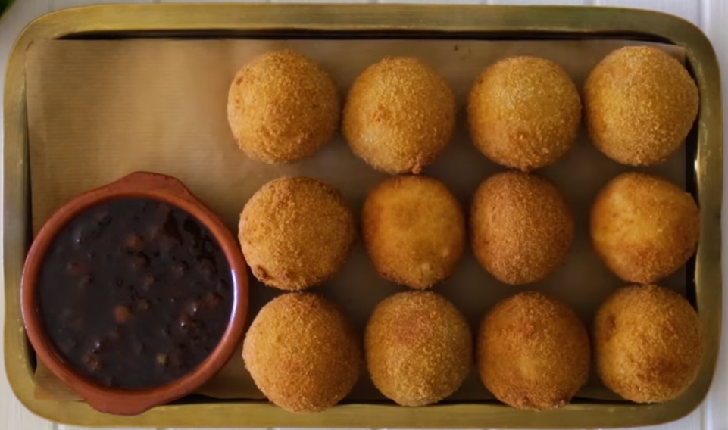 This keeps you going: Kenyan ugali power balls! It is based on ugali, corn flour, which is an important ingredient in the Kenyan kitchen. ⏩Start by placing the water in the pan over high heat. Add half the flour and all the coconut powder. ⏩Mix thoroughly and continue to stir until it boils and the flour thickens. Turn the heat down and cover for 5 minutes. ⏩Add the rest of the flour and cover again for 5 minutes. Take the pan off the heat and add the chopped coriander and the sea salt until the ugali is evenly speckled. Put the mixture in a bowl and let it cool, until you can mold balls with it. ⏩Fold the balls and dip them in the beaten egg or egg replacement and roll it in the breadcrumbs. ⏩Then drop them carefully in the heated oil or in the fryer until they are golden brown. Serve.